Bailey Hertenstein doesn't like to lose and she doesn't very often. To be specific, she has lost TWO times in Florida in her four year high school career. The first came back in 2014 when she was a freshman and finished 15th at the 4A Cross Country Finals. Since then she has won back to back 4A state championships in cross country and advanced to Foot Locker Nationals where she placed 20th in San Diego against the nation's best. 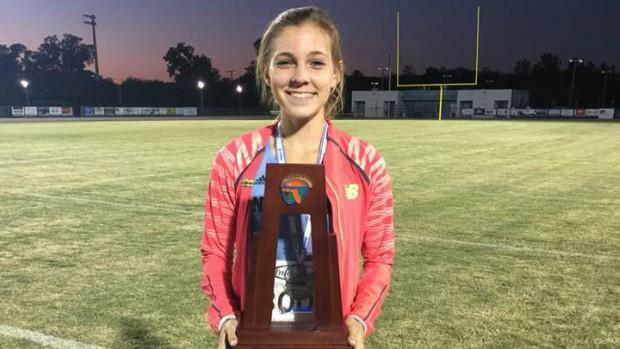 Her second loss in the Sunshine State came last week at the Hillsborough County Championships when she finished second behind former teammate Alyssa Hendrix of Riverview. Hertenstein, who recently committed to Indiana University, admitted she wasn't 100 percent in that race. Throw all that out the window after today's performance at 4A District 7. 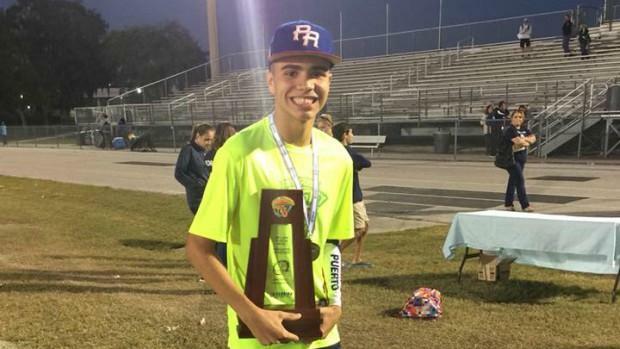 The Newsome senior ran a new season best time of 17:48.25 which was six seconds faster than runner-up Hendrix who crossed the line in 17:54.99, two of the fastest times in Florida all season. "She ran like the defending state champion tonight," said Coach Stephen Dunn who works with both Hertenstein and Hendrix. Next week the pair will meet up at Holloway Park in Lakeland. They squared off on the same course just one month ago at FLR18 where they finished 1-2. "Alyssa does well on short hills, so it will be another close one," Dunn added. Newsome placed seven runners in the top 11 to win the girls race with 25 points over Riverview's 67. Not to be outdone by the ladies, the Newsome boys dropped a perfect score of 15 points on the seven team field. Sophomore Dominic Acosta and senior Chris Pinedo went 1-2 with nearly identical times of 16:27.53. and 16:28.55 to pave the way for the Wolves. The growth of Acosta is incredible as well. As a freshman his athlete profile shows his times in the 19-20 minute range and not even qualifying for the postseason. For Pinedo, his runner-up finish is an improvement from his 7th place showing in 2016. 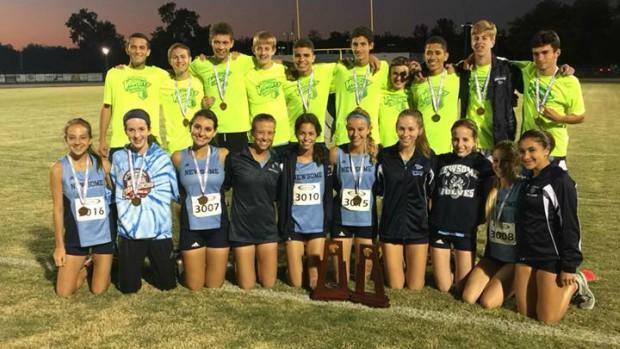 Newsome should make some noise in 4A Region 2 next week at Holloway Park.